For a quote on all home and commercial handyman / nutsman related services or jobs you need done around the house or office, please contact Maartin on 0799469152. Tired of doing it yourself? Tired from a long day of work and not wanting to look at all the repairs that are needed to be done to your home? You can get help to do all those home improvement chores by simply calling a nutsman / handyman service or your local handyman. They are ready to help you and they can handle any job, easy or difficult, that you throw their way. When you own a home there will always be home maintenance problems that need addressing. You may not be an expert on doing the little jobs that need doing around the house or your husband just doesn’t have the time or the know how to home improvement. This is when you call a nutsman / handyman in Centurion or look up a handyman service to send over a legitimate and qualified person to handle all your home repair needs. If you personally do not know a good, honest handyman, there are always those Centurion handyman companies which have handymen on call and can put you in touch with them. These companies can be found in the yellow pages or on the internet. They will have ads to get your attention so they will not be hard to locate. Those ads will give you a list of services they perform and contact numbers if your home repair fits their services. 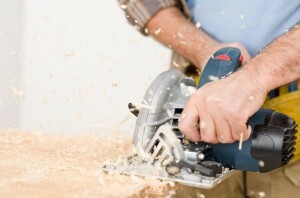 One quick call will relieve the stress that home repair jobs bring. This all depends upon if you use a professional handyman service, an independent professional handyman or a local handyman. The cost will depend upon the type of repair needed to be done, what materials are involved and what tools are needed to handle the work. Qualified handymen will give you a quote on the cost after they have viewed the job. Why Choose Our Centurion Handyman Service? This quote is just a rough estimate and you should factor in about another 20% to the quote for any additional repairs that may be uncovered or for higher material costs than expected. For safety and any legal recourse in case anything bad happens, then you should go with your handyman service in Centurion, Pretoria. They will have already vetted the men they use so you do not have to worry about their character or honesty. AREAS: Amberfield, Bronberrick, Brooklands, Celtisdal, Centurion CBD, Centurion Golf Estate, Clubview, Copperleaf, Cornwall Hill, Die Hoewes, Doringkloof, Eco Park, Eldoglen, Eldoraigne, Erasmia, Gerhardsville, Glen Lauriston, Hennops River, Hennopspark, Heritage Hill, Heuweloord, Highveld, Irene, Kloofsig, Knopjeslaagte, Kosmosdal, Laezonia, Laudium, Louwlardia, Lyttelton, Lyttelton Manor, Midlands Estate, Midstream Hill, Mnandi, Monavoni, Olievenhoutbos, Pierre van Ryneveld, Raslouw, Raslouw Glen, Retire at Midstream, Rooihuiskraal, Southdowns Estate, Valhalla,Wierda Glen, Wierda Park, Zwartkop.